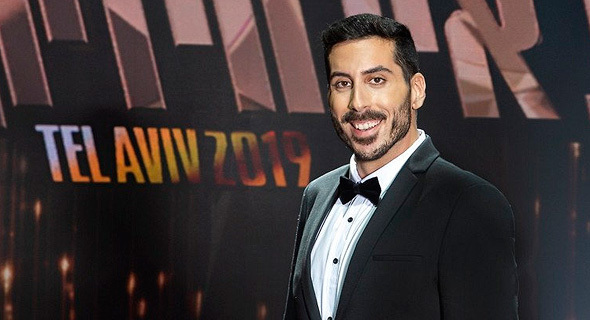 Theatrical vocalist Kobi Marimi will represent Israel in the 2019 Eurovision song contest, after being selected as the winner at the finals of music contest reality TV show Rising Star for Eurovision, which aired live on Israeli channel Keshet 12 on Tuesday. Last year’s “Rising Star” winner Netta Barzilai took home the trophy in the 2018 Eurovision contest with her song “Toy,” securing Israel the role of host for this year’s event. 27-year-old Marimi, a judge favorite throughout the show’s season, was voted out by the public in the quarter-final stage but brought back by the production soon after. Marimi is a recent graduate of the Nissan Nativ Acting Studio in Tel Aviv, considered one of Israel’s top performing arts schools. A native of Ramat Gan, a Tel Aviv suburb, Marimi was known throughout the season for his elaborate vocal renditions of pop culture hits, including The Lion King’s The Circle of Life and Beyoncé’s Sweet Dreams. Bon Jovi’s Always and The Beatles’ Let it Be were among the songs performed by Marimi at the finals. Marimi was one of four finalists selected by popular votes and by the show’s judge and expert panel. Second place went to Ketreyah Fouch, a 22-year-old member of the African Hebrew Israelite Nation of Jerusalem community in Dimona, a town in Israel’s south. The community was established by a group of African Americans who immigrated to Israel in the 1960s, believing they are descendants of the Twelve Tribes of Israel. Fouch served in an Israeli military music band before starting an independent career as a soul musician. The most controversial candidate Rotem Shefy got third place. The 35-year-old Jewish singer from Karmiel, a town in northern Israel, is better known as her stage persona Shefita, a mock Arab diva. Following a short jazz career, Shefy emerged as Shefita in 2013 with a cover for Radiohead’s 1997 hit Karma Police inspired by Middle Eastern music. Critics often view Shefita’s performances as a type of appropriation of Arab cultures, claiming her exaggeratedly heavy Arab accent, extravagant choice of couture, and various mannerisms build upon stereotypes on Israel’s largest minority group, which amounts to about 20% of its population. Some critics went as far as comparing Shefita to the use of blackface in American theatre in the late nineteenth century and early twentieth century. The locally best-known contestant was 41-year-old singer-actress Maya Bouskilla who made fourth place. Bouskilla released her first single in 2003 and has since participated in several reality shows, both as a contestant and as a judge. The Eurovision is an international song contest held every year since 1956 in which singers and bands representing several dozen European countries, as well as Israel and Australia, contend to win the public vote. The event is normally hosted by the country that won the previous year. The 2019 Eurovision to be held in Tel Aviv in May, will be the third time the contest is held in Israel. Three Israeli representatives have won the contest before Barzilai. In 1978, Izhar Cohen and Alphabeta won in Paris. After winning again in 1979 in Jerusalem, Israel waived its right to host the contest the following year. In 1998, Dana International won again in Birmingham.